CMC’s consultants use their decades of industry expertise to improve your quality, reduce lead times, assist in new factory setup, and more. See how your manufacturing operations can be improved with consulting on this page, and arrange a no-strings discussion with our consultants by hitting the 'contact' button. Which Manufacturing Consulting Services Do CMC Offer? Our manufacturing consultants offer the following services. Read on, and hit the orange buttons to learn more about whichever service suits your business. The aim is for our experts to assist you to implement deep, lasting changes in a manufacturing facility and/or its office on the above tasks. Projects typically last between 6 to 18 months, with clear deliverables outlined from the start. The fee structure is based on the time commitment from CMC + a deliverable fee that is paid by the client based upon results. 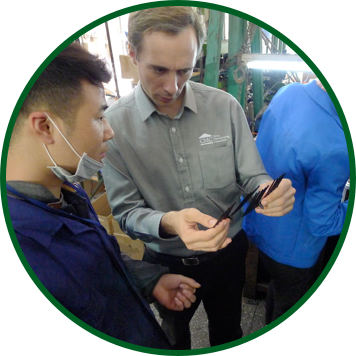 Issue solution consulting projects involve CMC’s consultants providing expert coaching to assist your staff to pinpoint and overcome your most difficult manufacturing issues. Projects typically last between 1 to 6 months, with clear deliverables outlined from the start. "Fix a mold and get first-pass yield from 30% up to 90% on 1 process step"
"Get testing stations ready on an electronic assembly line"
"Investigate suspected bribery in the purchasing department for a few SKUs"
"Semi-automate a process to reduce its labor content by 40% with minimal investment"
As you know, consultations are helpful, but improvements which have been implemented in the past can start to slip over time as staff change, or time passes. CMC’s experts are on hand to maintain your improvements by offering ongoing consultation to keep results at optimal levels. We stay engaged with your facility, at regular intervals, to maintain the correct structure and improvements that were put in place, typically in consultations 1 and 2 above. Projects are negotiable to last for whichever duration you require. 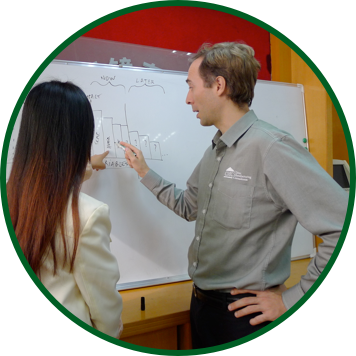 What Are The Typical Engagement Deliverables For Manufacturing Consulting?